Disassembly of a Pool Table – If Crating, please call for quote. We offer the best in pool table moves, pool table re-felting, pool table cushion repair, pool table leveling, you name it! We also service and move billiard tables, snooker tables and casino type gaming tables. Re-Felting a Pool Table – Standard International Teflon Championship Felt. Prices include material cost and labor. Assembly of a Pool Table – If it is a new, never assembled pool table please call for quote. 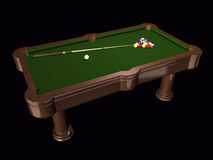 Re-Cushioning a Pool Table – Includes new cushions of your preference in speed. cushions of your preference in speed. Re-Leveling a Pool Table – Prices may vary depending on whether a partial disassembly is required. Add $ 100.00 to above cost if full disassembly is required. CPTTechs has a no refunds policy for work performed.